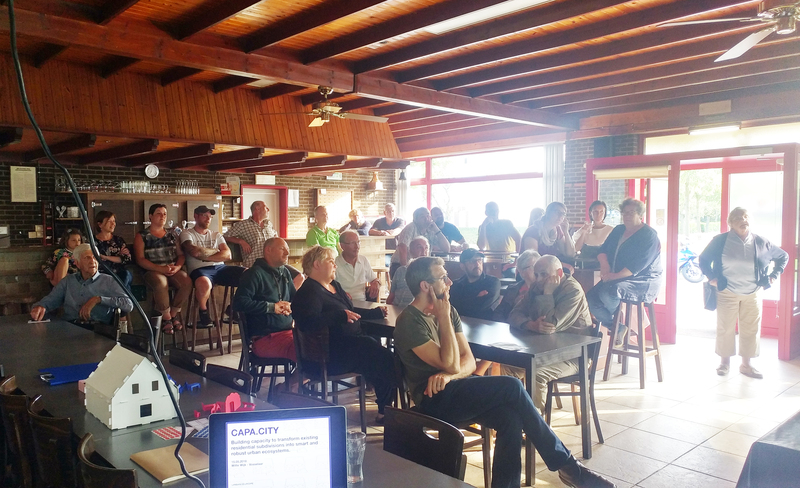 On the 16th of May 2018, the research started in the second Belgian case study with an evening presentation of the project to the local community of the ‘Witte Wijk’ (White neighbourhood). The ‘Witte Wijk’ is a neighbourhood in the Flemish municipality of Vosselaar. It was developed during the 60’s as a social housing area where families with a low income could buy rather big properties for affordable prices. Since some years the ‘Witte Wijk’ has started transforming from a neighbourhood with a “village” and homogeneous identity into a more diversified residential areas in relation to population as well as to dwelling typologies.